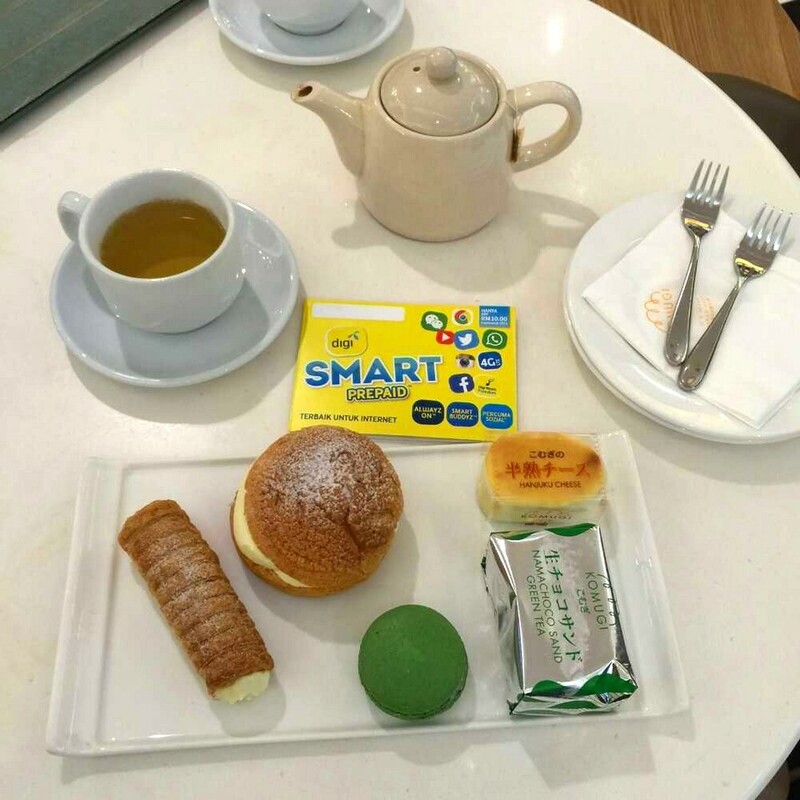 Always scouting around for Hi-tea meals in PJ and was really happy to find Komugi's deal here!! Love the cheesecake, so soft and fluffy and the nama chocolate green tea roll!! Definitely worth the price paid for the amount of food on the plate with tea! Those two items are my favorites too! Your green macaron looks interesting.. Is that nice? Awesome. You look like the person who won for the Cleo magazine cover girl. Heehee what's the thingy in the silver packet? @Fatjedi yes the macaroon is yummy too!!! Not too sweet whiCH is good not like many other macaroons I have tasted. @BluePenguine yes, I was the Cleo cover girl.. how did u know? The thingy in the silver packet is the nama green tea Choco cake!! Not too sweet and is suprisingly chewy!